In order to meet excellent quality standards, we are supplying Container Rubber Seal. Container seals are used in refrigerated & non-refrigerated containers. These profiles are provided with molded as well as non molded corners. Our container seals profiles can also be manufactured according to client's needs and demands. We offer all kinds of Container Rubber Seals. The ones that maintain an airtight environment in huge shipping containers to preserve the contents during long journeys. The seals effectively prevent air, moisture and dust from entering the containers after closed shut. Container seals are used in refrigerated and non-refrigerated containers. 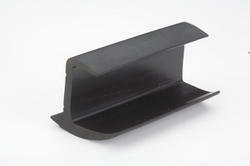 These profiles are provided with molded as well as non molded corners. Our container seals profiles can also be manufactured according to client's needs and demands. Our reputed entity is engaged in supplying Container Rubber Seals. We are engaged in offering Container Rubber Seals. AMEE container seals are used to prevent air, moisture and water from entering into the container and they help in preservation of the stored articles. 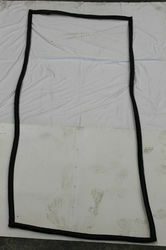 We are amongst the most reputed names in the industry, offering Container Rubber Door Seal. We are a top notch supplier of Container Rubber Seals.